We offer you one of the No. Draw online games to demonstrate your painting skills. You have to create an image using pixels, coloring the colored pixels to build an impressive drawing. Touch the screen to color the desired pixels and when you can, zoom out to see if the drawing was completed successfully. If you prefer you can play it in the APP or on any device with an Internet connection. 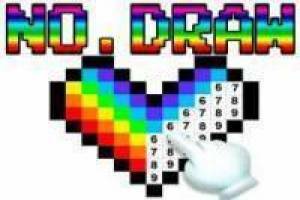 Have a good time coloring the pixels to create a beautiful drawing. Enjoy the game No. Draw, it's free, it's one of our painting games we've selected.